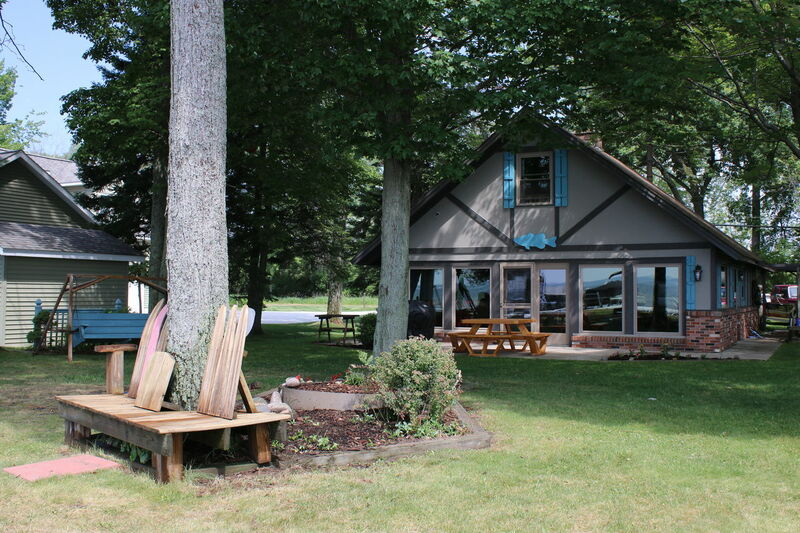 *FOR LARGER GROUPS--Rent 2 cottages together!We also rent out the cottage next door-Houghton Lake Hideaway! Check it out here! 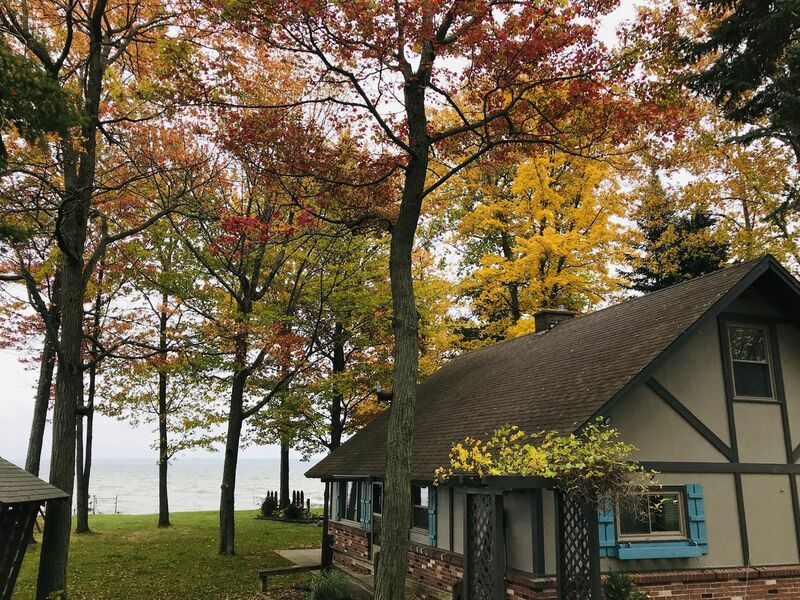 Michigan's largest inland lake, Houghton Lake, is the perfect spot for your next Michigan vacation! 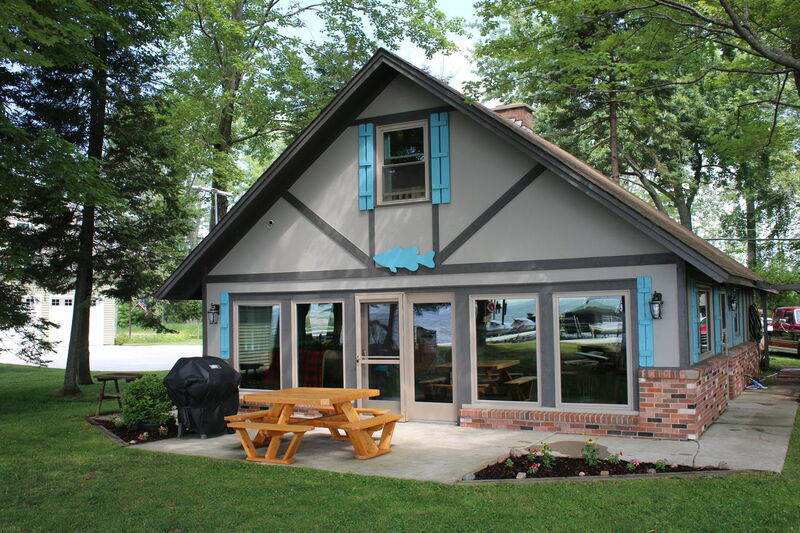 Houghton Lake Chalet is a great place to soak in the fun of Northern Michigan. Enjoy this classic cottage along a quiet street, with neighbors a comfortable distance apart on both sides. 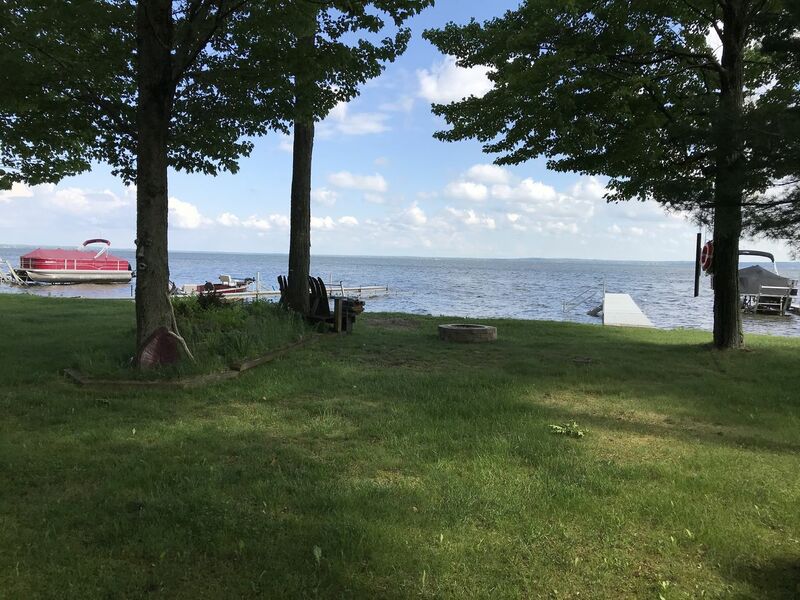 Houghton Lake is a popular destination to enjoy summer fun with your family. 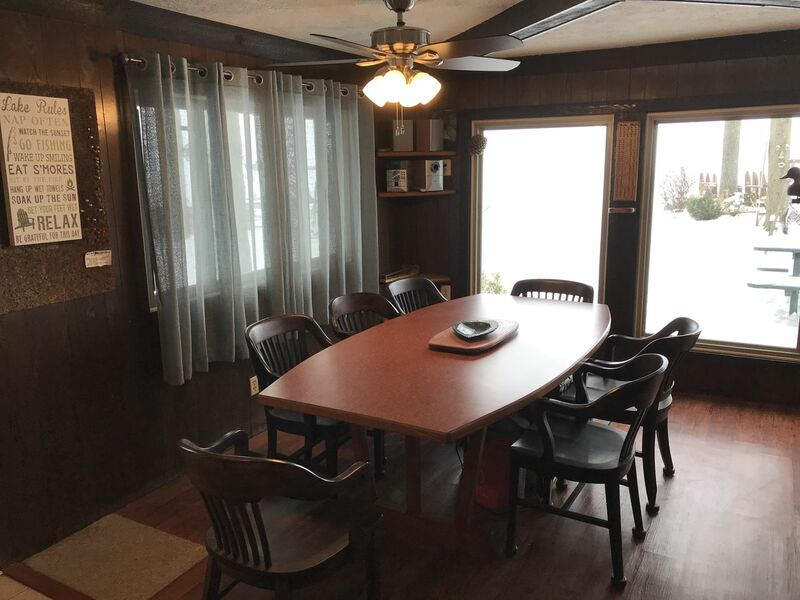 When you enter the cottage, you enter the cottage with the open kitchen on one side and the open dining area directly facing Houghton Lake. Attached to the dining area is the living room which encompasses the large windows overlooking the lake. 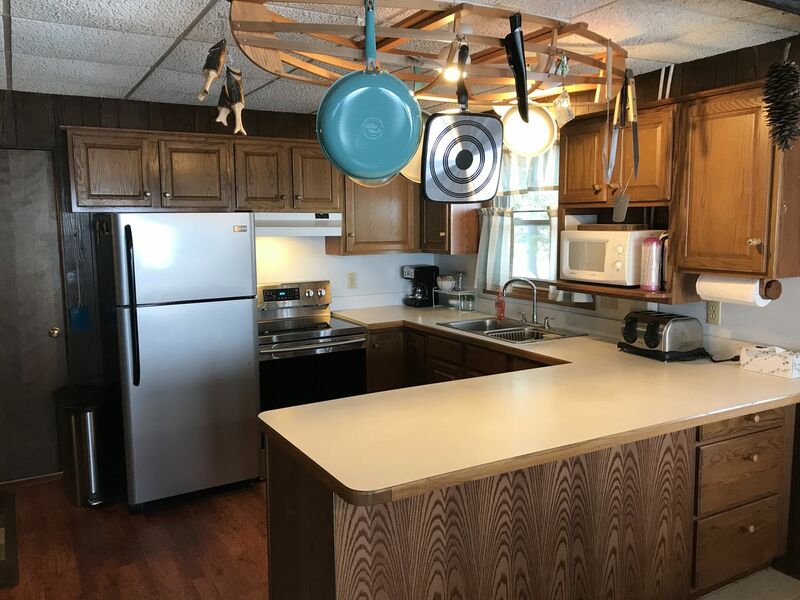 Off the kitchen, there are 2 bedrooms on this main floor. Each room has a Queen bed. 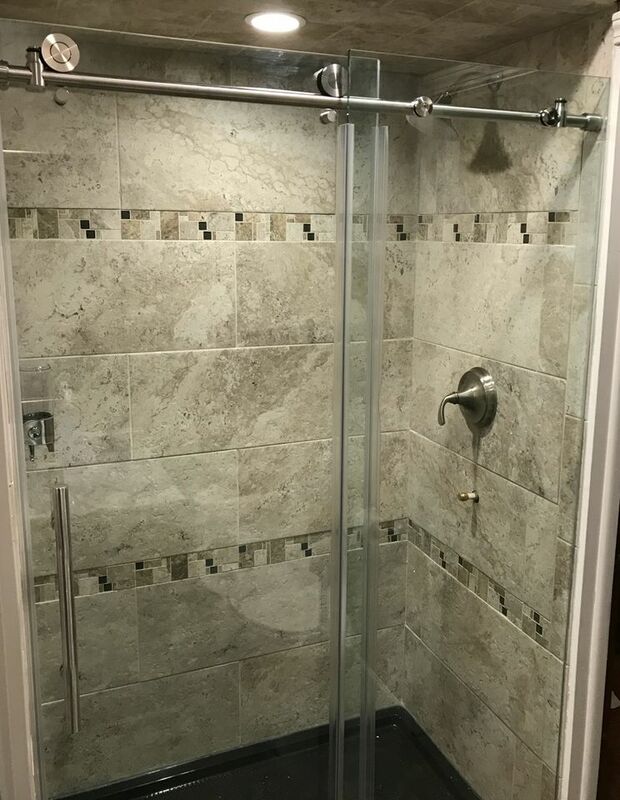 The bathroom on this level has been recently renovated to include a large shower, toilet and sink. 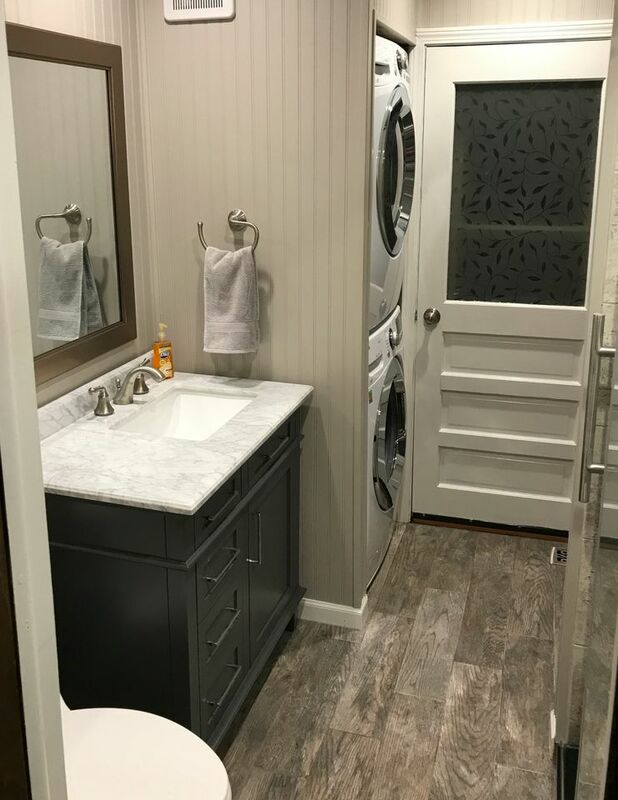 A washer and dryer are also located within the bathroom. To climb to the upper level, you'll need to have good balance and steady feet as you climb up the spiral staircase. We advise small children to sleep on the main level to avoid this staircase. 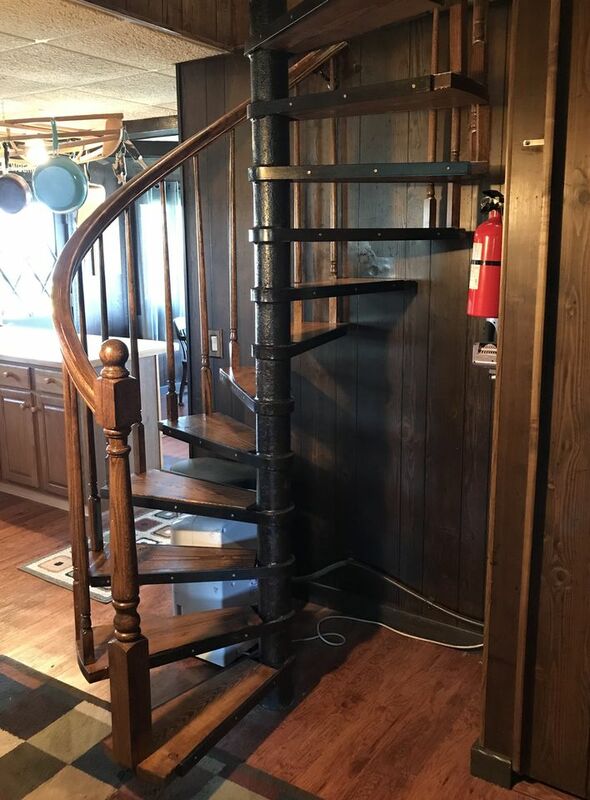 This old-school, metal spiral staircase leads to 2 bedrooms with a 1/2 bathroom (toilet & sink) between the bedrooms. 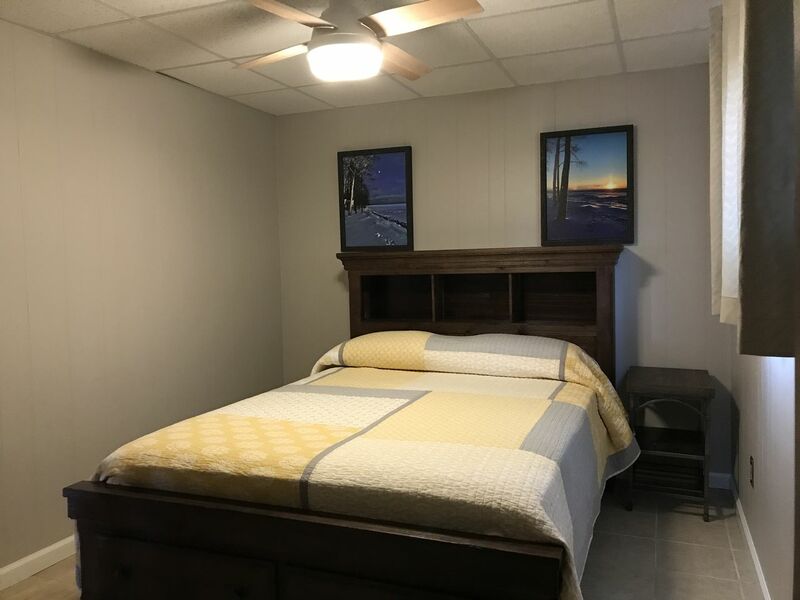 Each upstairs bedroom has 2 twin XL beds convertible to a King. 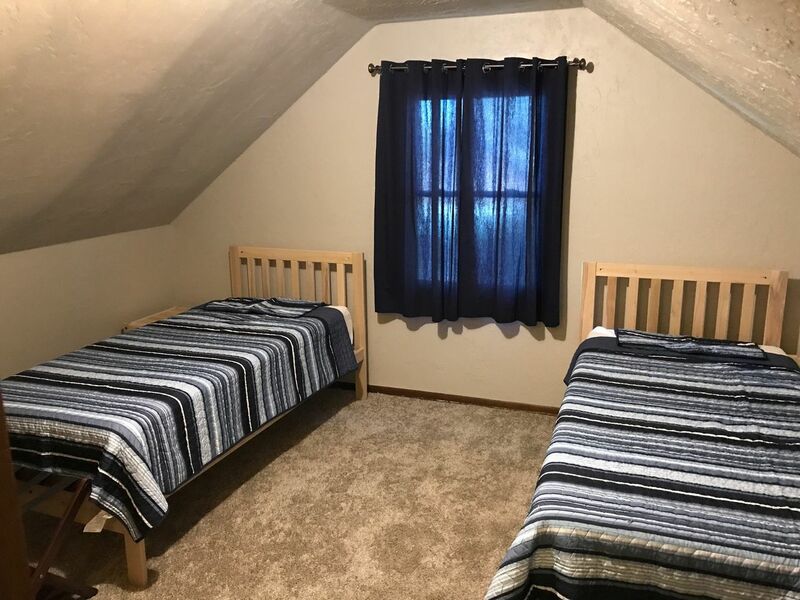 This is an ideal space for your teens. 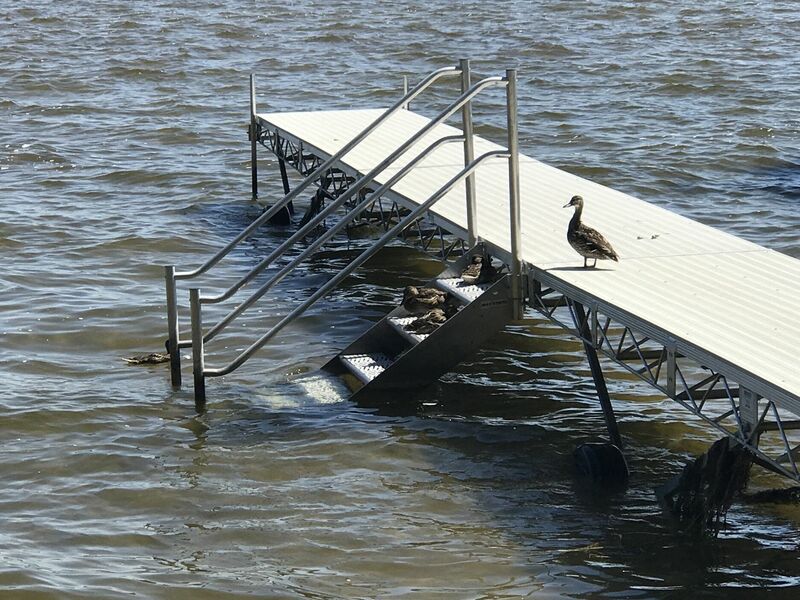 Houghton Lake is generally shallow for approximately the first 150 feet, so kids and adults alike enjoy wading and exploring the water, sometimes up to 100 feet from shore. The sandy bottom beach is ideal for your family getaway. 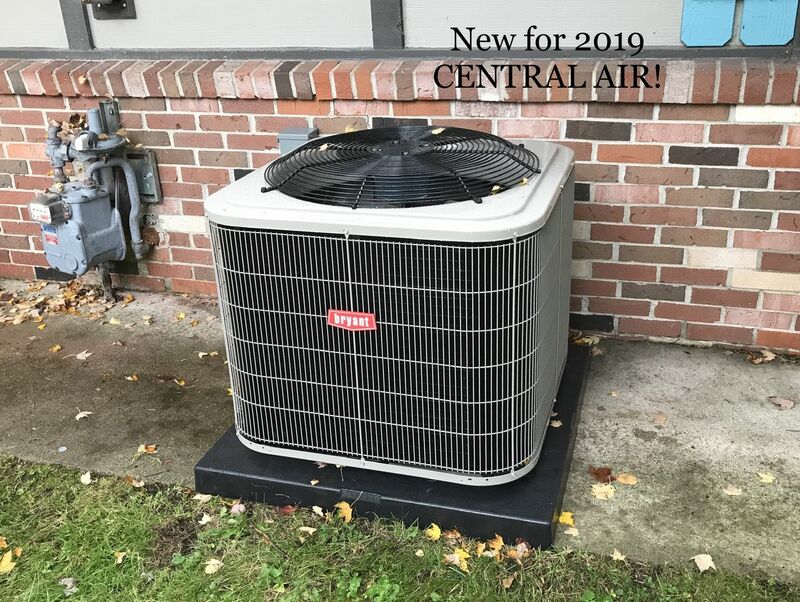 Air Conditioning: Central Air - New for 2019! Ceiling fans, portable fans and a nice cross breeze! 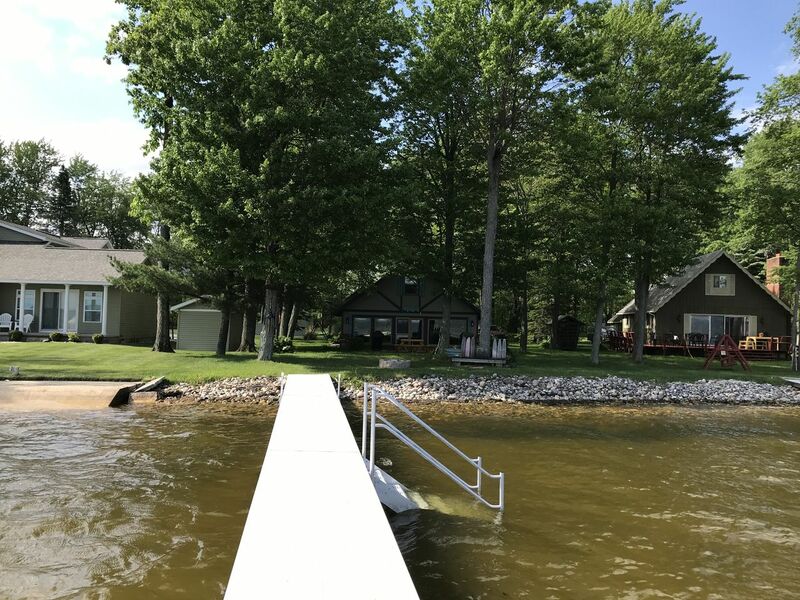 Beach/Swimming: While kids generally love to swim in front the cottage, they do need to climb down the new stairs from the dock and into the water. There are rocks along the shoreline. Water shoes are highly recommended. 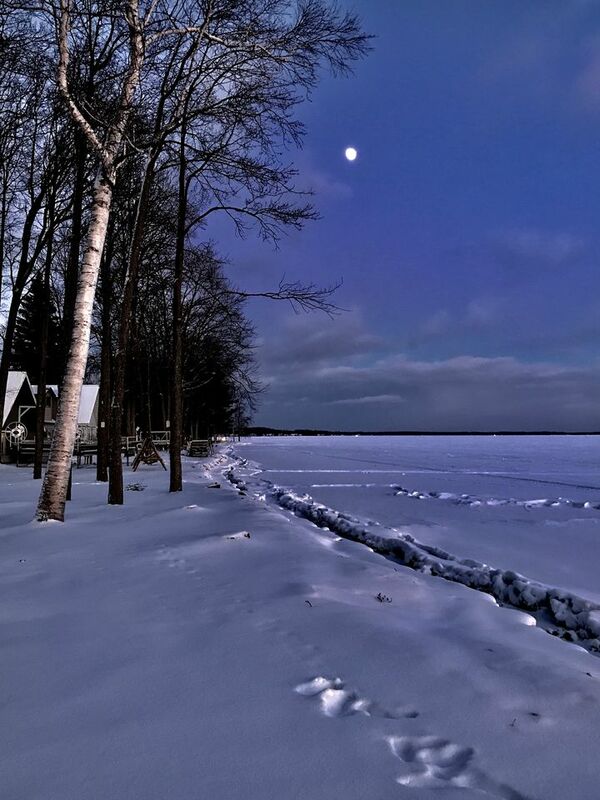 There is not a sandy beach on the shoreline, though there is a sandy bottom of the lake at Houghton Lake. Boats: There are no boats provided, however, below are some places you can visit to obtain a boat for your stay! Located behind the Rite Aid is a DNR boat launch. This can be used with a DNR Permit. Another DNR Boat Launch is located at Lantz Landing on Old 27 next to Comfort Suites. This landing also requires a DNR Permit. Lapham’s Marina is a private launch site which can be used for a small fee. Located off County Rd. 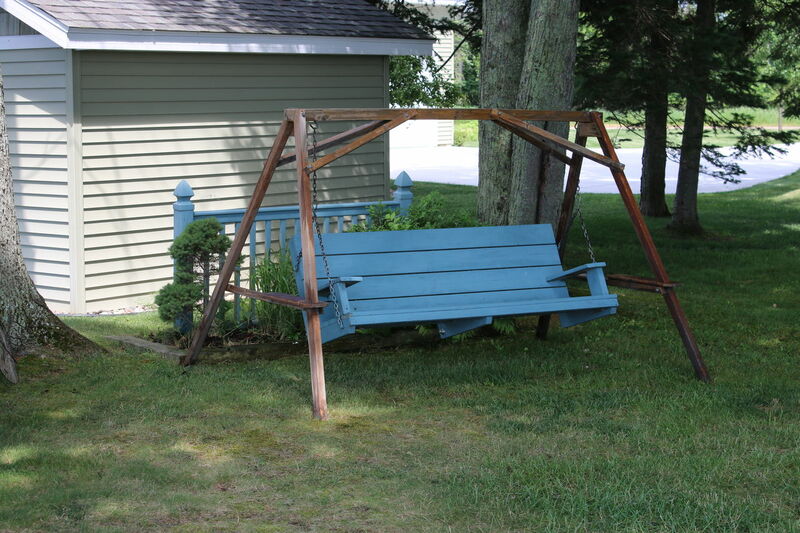 100 on Marina Dr. across from Roscommon County Airport (989)366-7763. Located at Whitney Court, there is a DNR launch site on County Rd. 100. This can be used with a DNR Permit. There is a site at the Sullivan Beach, located behind Chase Bank on Park St off M-55, in Prudenville. Cable/Satellite TVs: Yes! There is cable tv. Dock: Enjoy your private 68 foot dock! Feel free to bring your own water vessels as well! 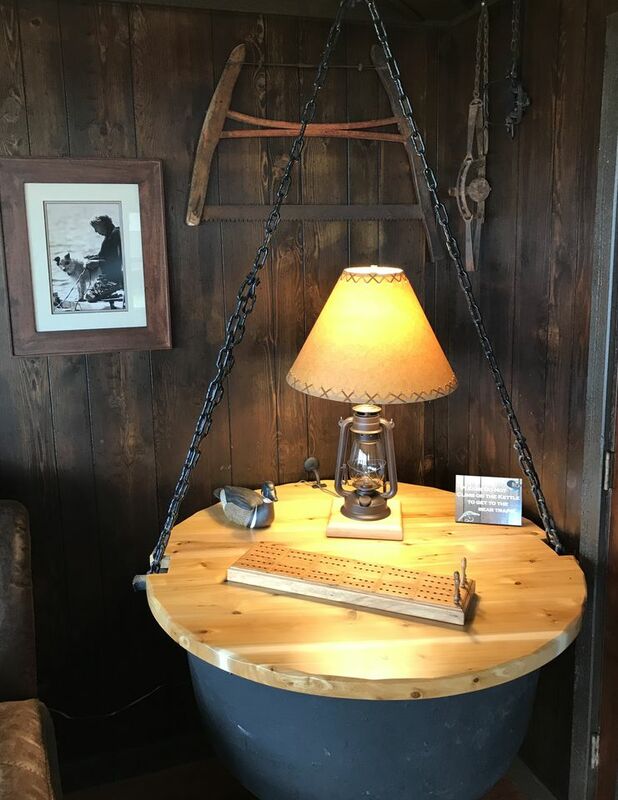 Firepit/Firewood: There is an outdoor fire pit, please provide your own wood. Fishing: Walleye, Northern Pike, Smallmouth Bass, Perch & more. Grill: There is a propane grill! Propane is provided. Grocery Store: 1/2 mile away is the Four Seasons General Store, which stocks basic items such as: liquor, beer, donuts, and bait! The nearest full-service grocery store is 20 minutes away on the south side of the lake. Pets: Your pet is welcome! Freshwater Vacation Rentals currently charges $50/per pet for your entire stay. Yes, we do accept up to 2 dogs, yet we do ask that you please clean up after them both inside and outside the cabin. Plus, if you allow them on the furniture, we do ask that you please bring your own linens/blankets for them to sleep on. 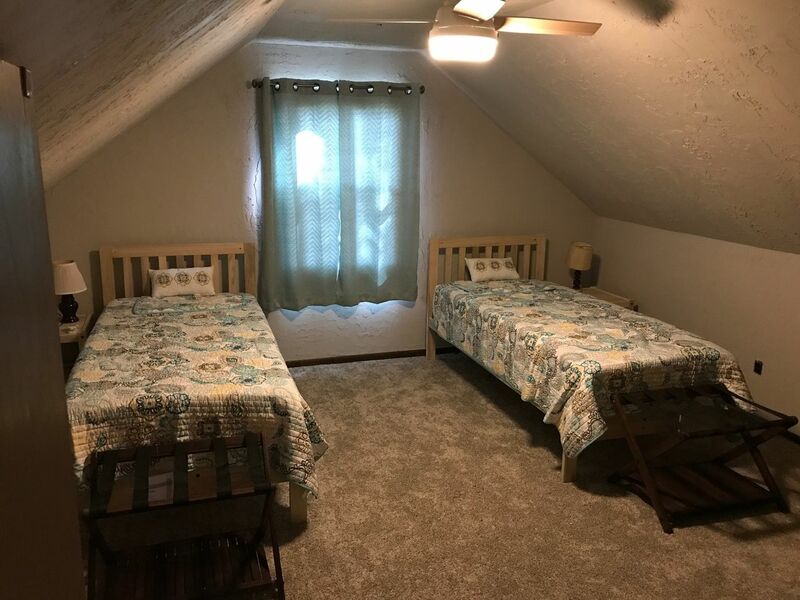 Just let us know which bed you will be using with them, and we’ll make sure it is ready for your sheets when you arrive. Plus, if the pet hair starts to build, we do ask that you please run the vacuum. Generally, dogs love the water and places to explore. Pet food does tend to attract mice, so vigilance is needed. If you don't crate your pets please DO NOT leave them alone in the cottage. Privacy: There are cottages right next door. Space: Two floors. 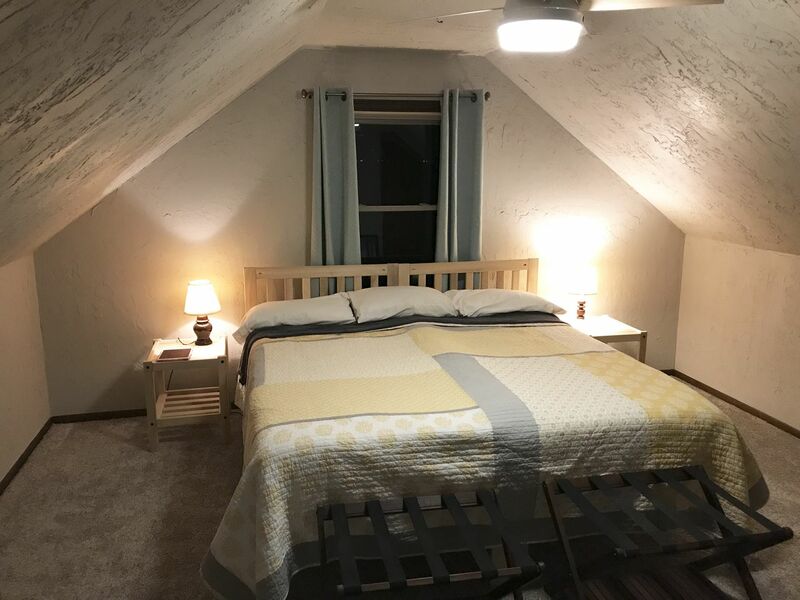 A set of bedrooms upstairs. All main living areas are on main floor. Washer and dryer: Yes! Laundry Soap is provided for guests! Wood: Guests should purchase firewood at the nearby store for use during your stay. The house was perfect! We had campfires by the lake every night, watched the sunrise in the morning and enjoyed access to the dock. We weren’t in need of anything while on site - they anticipated our needs! We appreciated a dog-friendly home. 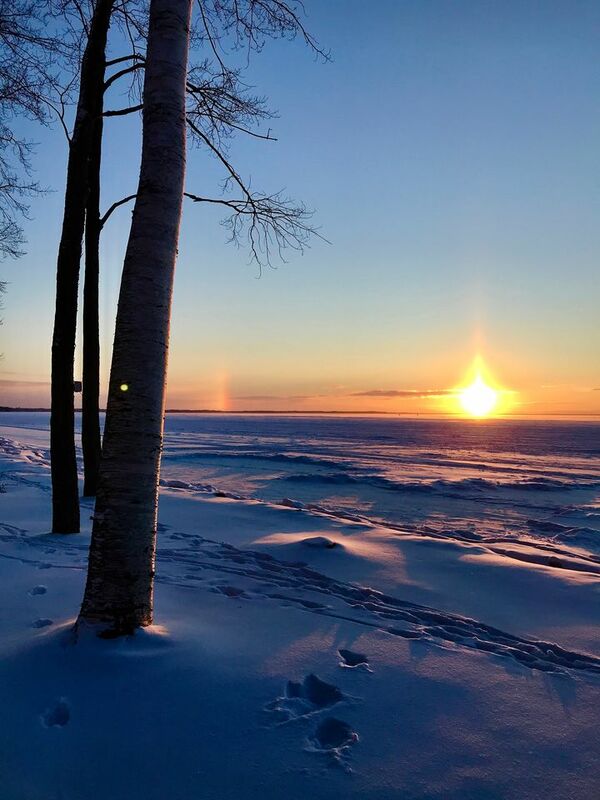 Anne, we are so happy that you and your pup enjoyed Houghton Lake Chalet. 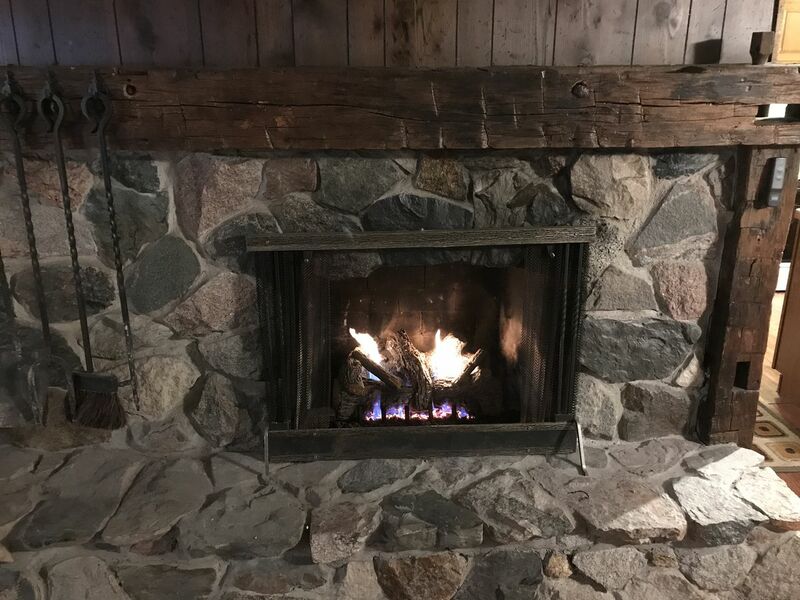 The view of the lake is so lovely and on cold eves the fireplace is the place to be! We hope to see you again. We hosted a friends bachelorette party at the chalet and it couldn’t have gone any better! The place was clean and had everything we needed and we were checked in on to make sure everything was going well. The lake was beautiful; a perfect location and place to spend a nice weekend. 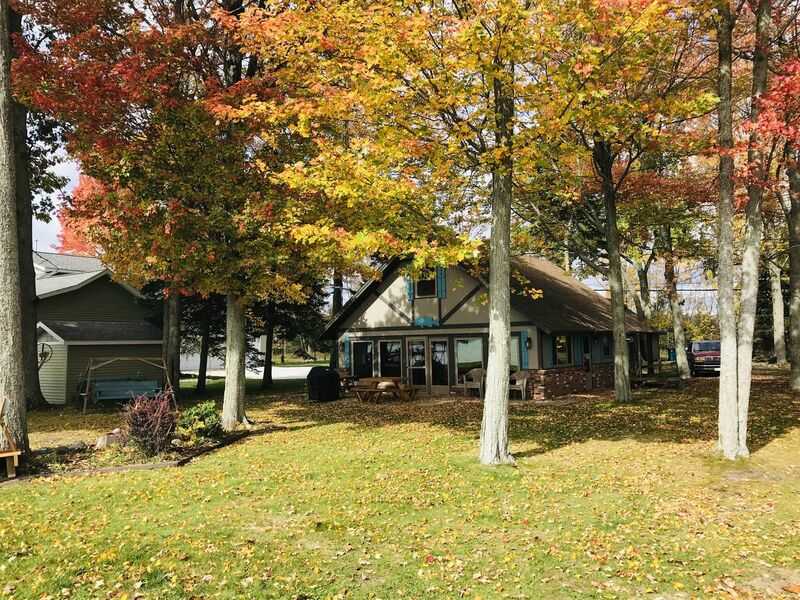 Vanessa, we are so very happy that Houghton Lake Chalet worked out so well for your bachelorette party! We do hope that you all return. We had 6 to 8 people coming and going at any one time..This house was more than ample room for us all... The owners are more than generous with supplying what you need. 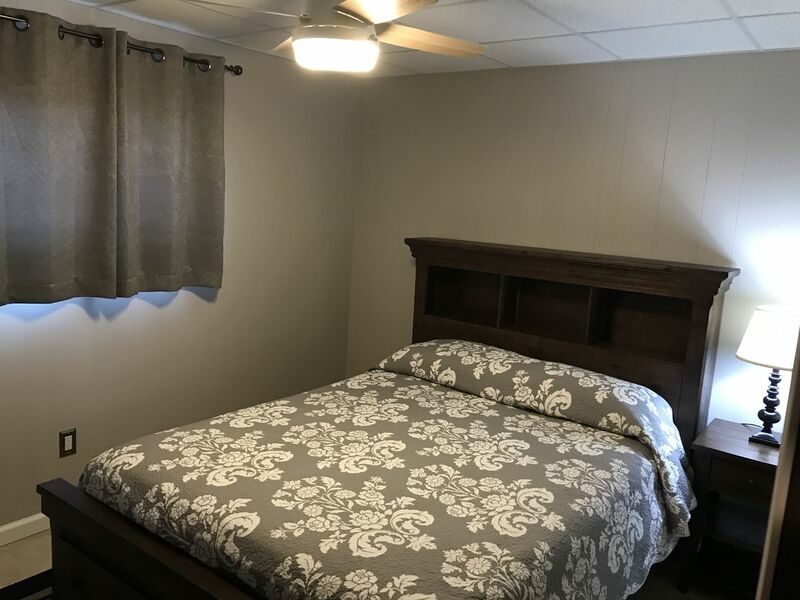 New Linens, great beds and even the makings for Smore's . Ample parking and nice yard, great dock.. a boat lift would make it even better. We will be back . 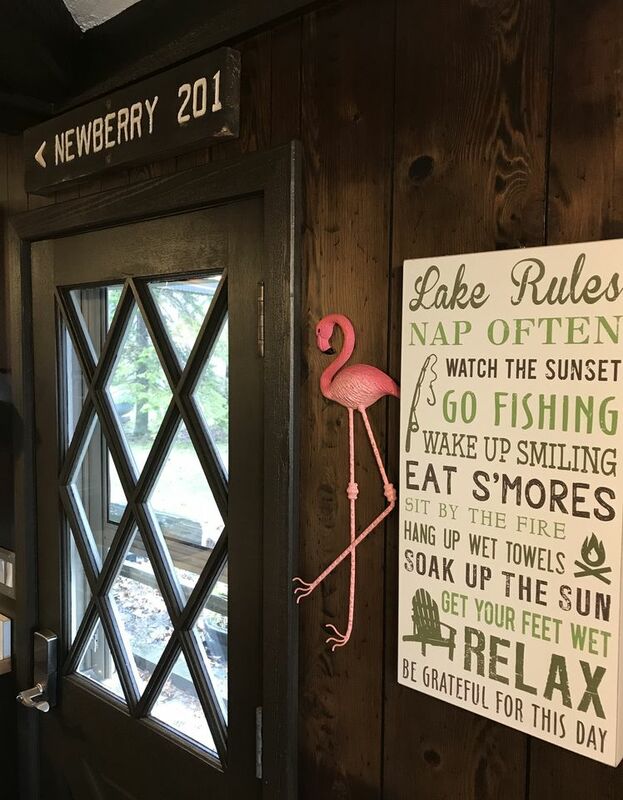 Nancy, we are so glad that the Houghton Lake Chalet worked out so well for your group. Sitting outside, overlooking the water, is so relaxing, and add smores to that, and you have perfect evening! We look forward to having you back again. Ronald, we'd love to have you as our guests again. 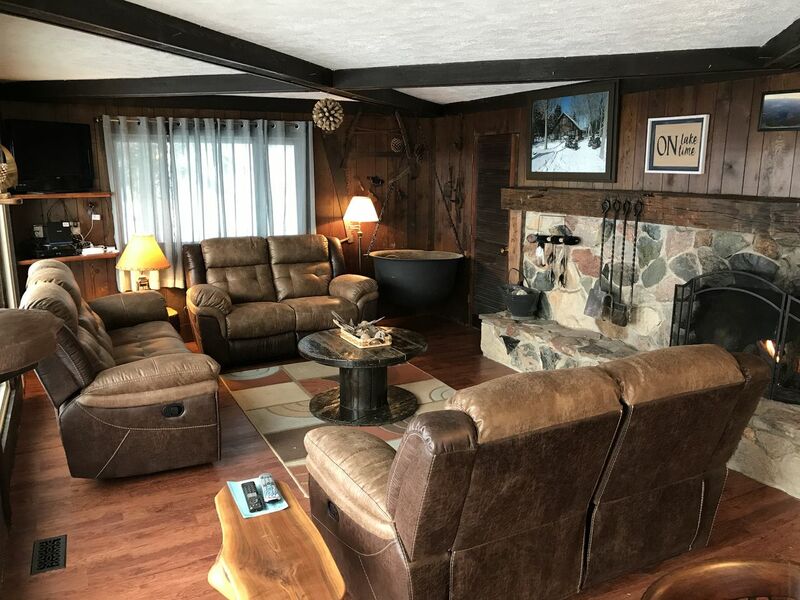 Houghton Lake Chalet is serene, and a great place for a family vacation. Sandy bottom lakes, perfect for swimming and lounging all day. The sunsets are so relaxing and beautiful. We really enjoyed our stay! 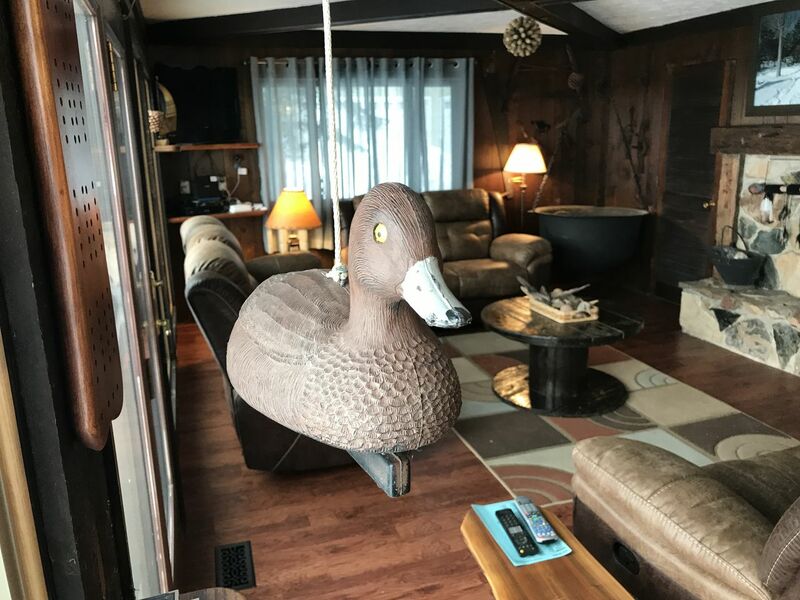 Andrea, we are so happy that you enjoyed Houghton Lake Chalet. Don't you just love all the windows cross the front of the cottage and that fabulous stone fireplace? We'd love to have you come back again. We had 7 adults and a baby for a 5 day stay. This was a very nice chalet that had everything we needed and was clean - well stocked kitchen, comfortable beds with extra pillows and bedding, lots of towels and a large eating area/table. The spiral staircase is a bit narrow and must be navigated with care. Loved the place overall. Highly recommend! 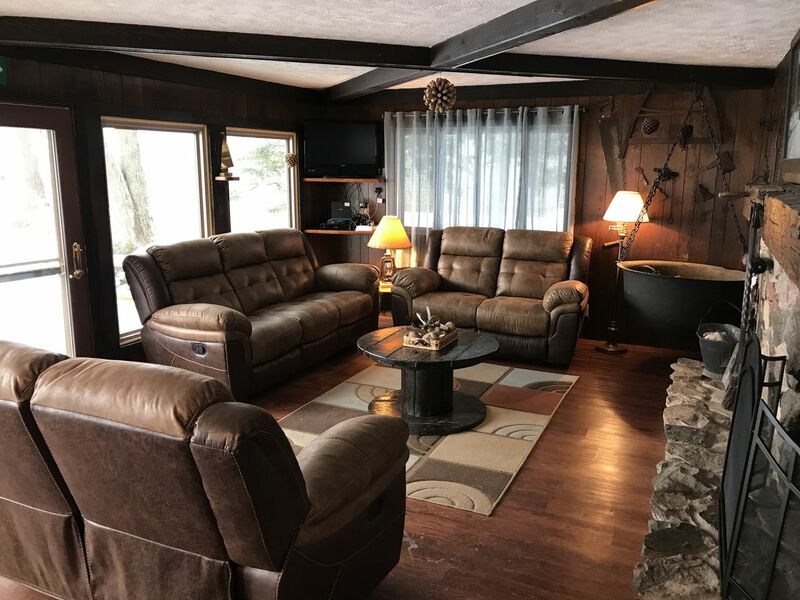 We are so happy to hear how much you liked Houghton Lake Chalet. We do realize that the spiral staircase does require attention when in use. 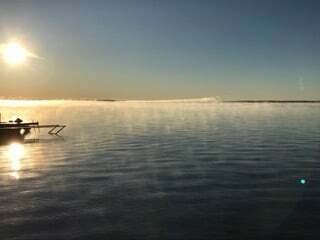 the sandy bottom of Houghton Lake makes it so perfect for swimming especially since it stays pretty shallow for 150 feet. We do hope to see you again. 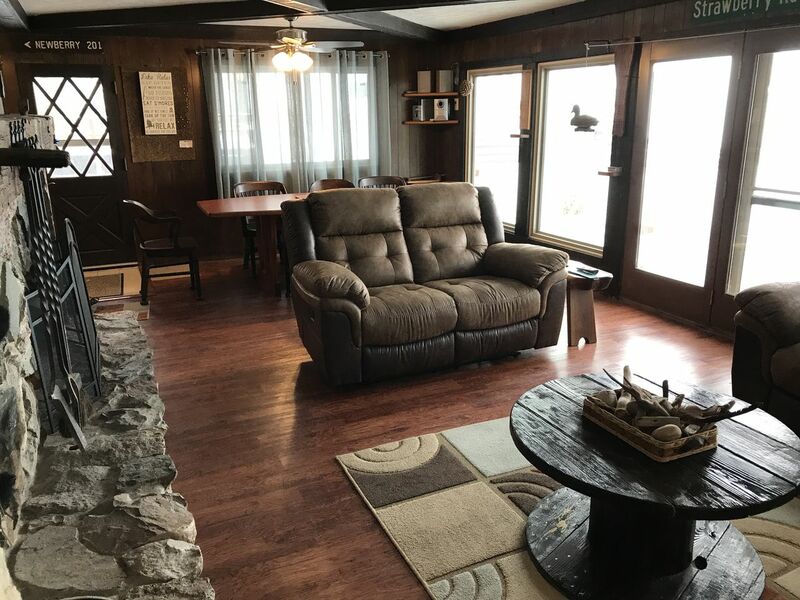 We are so happy that Houghton Lake Chalet fits your needs. 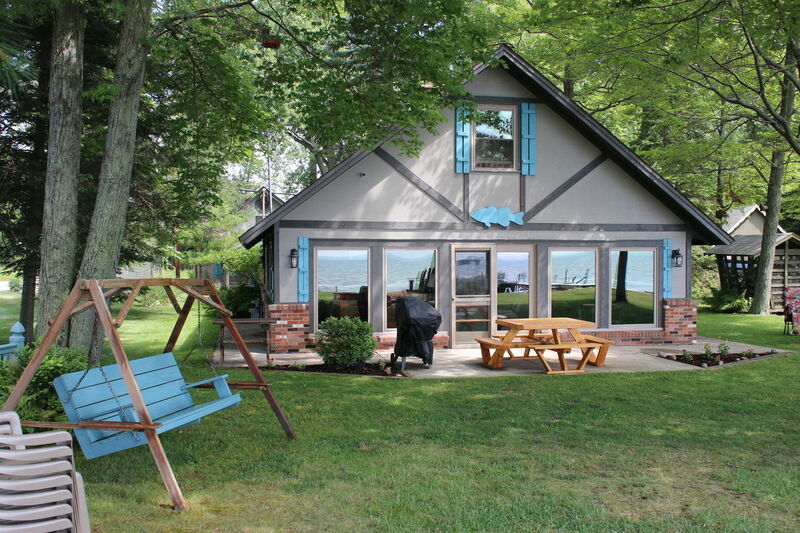 It is a great location, and don't you just love the sandy bottom of the lake? It's also great having places to rent boats nearby if you want to have a boat. Thanks also for the recommendation of adding a blender in the kitchen. We will definitely look into that. We hope to see you again soon and remember that returning guest get a 10% discount!